Koh Samui, Surat Thani Province, Thailand’s second largest island, lies in the Gulf of Thailand off the east coast of the Kra Isthmus. It’s known for its palm-fringed beaches, coconut groves and dense, mountainous rainforest. Koh Samui offers a wide range of accommodation from 5 star to budget. Beach location, or hill side. For those looking for nightlife, laid back or seclusion. Whether you’re a sun worshipper, chilling in a hammock, feasting on world-class cuisine, beach partying or discovering wellness in an exclusive spa, Koh Samui has it covered something to do for everyone. The island doesnt have ancient sites to visit, but offers a wide range of tours to surrounding Islands, and Angthong National Marine Park. 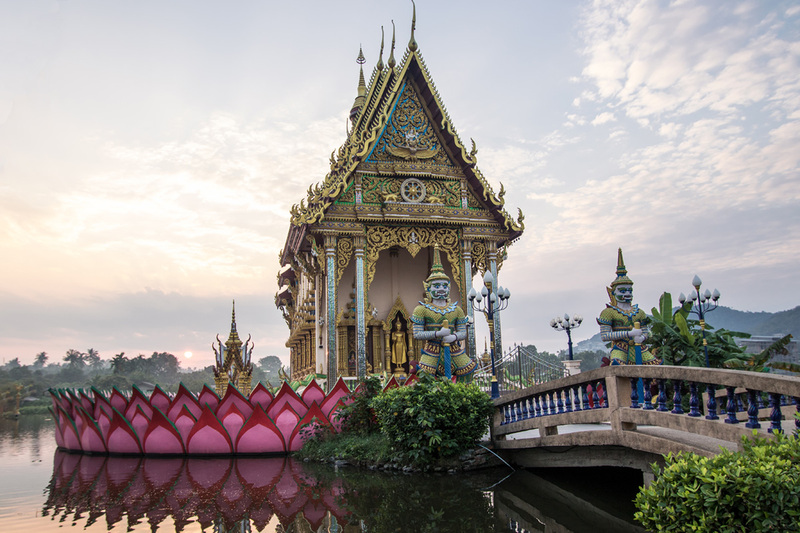 For those interested in the Thai culture, there are lots of modern day Temples, waterfalls and for the active, waterfall hiking. Activities to include zip lining, ATV off road tours and cooking classes. Vast choices for massages, from beach location to exclusive Spa days or packages. 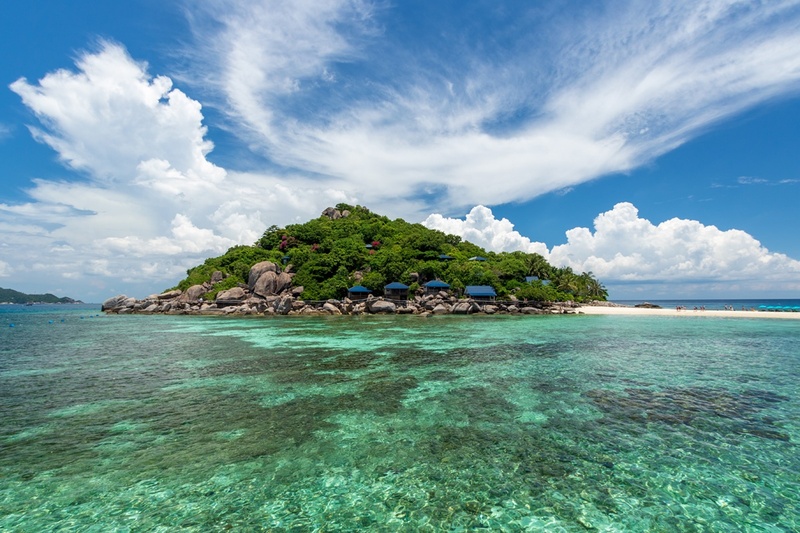 Koh Samui has 19 beaches to visit, although most of the beaches are not suitable for sunbathing or swimming, but all have something of interest to see. The most popular beaches are Chaweng beach (the largest beach), Chaweng Noi beach, Crystal Bay, Silver beach, Lamai, Maenam beach, Lipa Noi, Cheong Mon beach and Bophut beach. Throughout the week, you can visit walking street markets, offering street food, and souvenirs. The most popular walking streets are Fisherman Village – Friday evening and Lamai – Sunday evening. Chaweng has a walking street market nightly to also include a large food market. You have many options, and all depending on your budget, or holiday duration. Koh Samui Airport: Domestic Arrivals from Bangkok, Phuket, Krabi and Chang Mai. By Boat: Ferries arriving from the mainland, Donsak.